Skype is currently one of the few modern messaging applications that do not encrypt communication. This is not the best thing for the app considering that it has over 300 million active users per month and eventually Microsoft seems to understand this. The company decided that the app finally needs to address this problem. As a consequence, Microsoft introduced end-to-end encrypted Skype messages and audio calls for users who are running Windows, Linux, macOS, Android, and iOS. 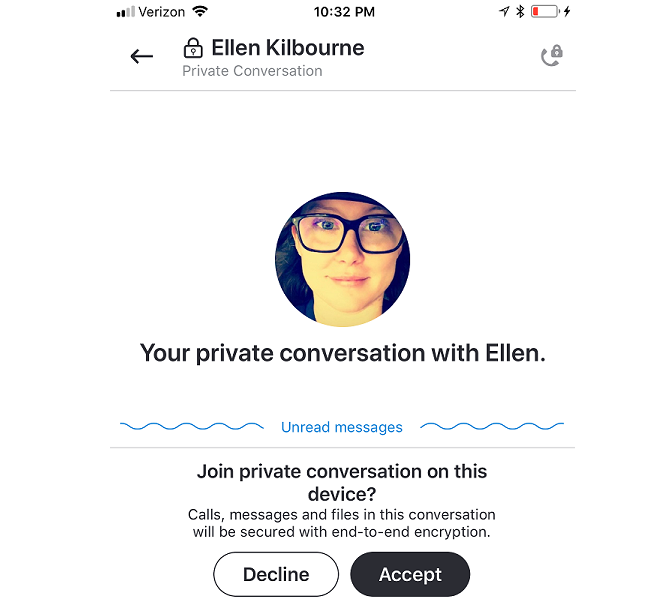 Skype Insider Program manager, Ellen Kilbourne posted a message on Twitter telling Skype Insiders that a new has just been released and advising them to check out the Private Conversations in the latest build to see how it works. She also stated that with Private Conversations, users could have end-to-end encrypted Skype audio calls and they can also send messages or files including audio, images, and videos via the standard Protocol by Open Whisper Systems. The content will be hidden in the notification and the chat list in order to maintain the privacy of shared information. To test the new option, you and your recipient need to have installed Skype version 8.13.76.8. You will be able to be in a private conversation on just one device at a time. On the other hand, you will have the ability to switch the conversation to another one of your devices but the sent and received messages will remain in the device you are using at the time. You can download the Skype Insider application for Windows from the official website, and if you are an Android user, you will be able to find the app in the Google Store. The new Private Conversations feature is set to roll out to non-Insiders sometime in the forthcoming weeks. We don’t have any details on when the new feature will also hit the Skype UWP application.